In HCM City, the 220kV Tao Dan-Tan Cang underground cable was scheduled for completion last year, but the company and local authorities have not reached an agreement on where the cable should run. 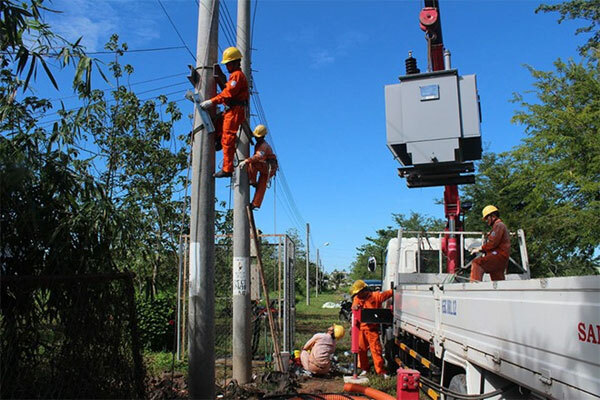 Slow land clearance delayed other projects including the 500kV Vinh Tan-Song May-Tan Uyen line in the provinces of Binh Thuan and Dong Nai and the 500kv Long Phu-O Mon line in the southern province of Hau Giang. Other power lines running through forest land also faced delays last year because project investors are required to complete environmental impact assessments. The National Power Transmission Corporation also said changes in funding sources affected the progress of some projects as the Government wanted to reduce the use of Overseas Development Assistance funds. Domestic capital was mobilised instead to fund the projects. The corporation said that last year it started 42 power transmission projects with total disbursed investment of VND15.5 trillion (US$666.6 million). Of the projects, the 500kV Vung Ang-Pleiku 2 line will be especially important in providing power to the southern region. Last year, it also completed 54 power transmission projects, helping ensure power supply to Hanoi, key economic hubs in the north and the south such as the 500kV and 220kV lines Hiep Hoa-Dong Anh-Bac Ninh, 500kV Tan Dinh Transformer Substation and Lai Chau 500kV Transformer Substation. The corporation said that during this year and next, it expected to assess 169 feasibility studies and prepare investments for the projects. To speed up power transmission projects, the corporation told Vietnam News Agency that it was very important for it to have the co-operation of local authorities in arranging the locations of transformer stations and electricity lines. It recommended to the Government that local authorities minimise the use of forest land in power projects. It also said that if a power line was approved by provincial people’s committees and the Ministry of Agriculture and Rural Development, it should not have to be submitted to the Prime Minister. The corporation also wants approval to increase the capacity of transformer stations and the transmitting capacity of electrical lines to ensure power supply.